The value of tomato exports to Russia was $365.3 million in 2015, while it reached around $198.3 million during the January-July period of this year from last year's $159 million. It seems that the relations between contemporary allies Turkey and Russia, which have been strained since the jet-downing that broke out in November 2015, are returning to their old days following the recent mutual negotiations between the officials of the two countries. The negotiations carried out between the two countries signaled positive developments regarding Russia's tomato imports from Turkey, which still remains the only banned product in exports from Turkey to Russia, and it seems the product is counting down the days before being exported to Russia again. The data, which revealed that Turkey's fresh fruit and vegetable sector in the January-August period of 2017 saw an increase of 150 percent to $259 million in exports to Russia, can be seen as one of the best examples that bilateral economic relations between the two countries are improving and heading to their old days. With the said figure, Russia has again become the largest export market following the jet crisis. As the restrictions Russia imposed on Turkish export products in the aftermath of the jet crisis were lifted one by one, the tomato remains the only banned product. 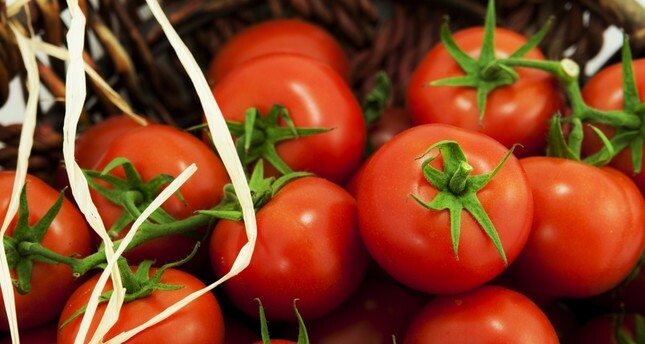 However, the Turkish fruit and vegetable sector expects Russia to lift the ban on imports of tomatoes from Turkey at the beginning of October and open its market for Turkish tomatoes during certain periods of the year. Pointing out that the Turkish tomato was the main agenda item at the World Food Moscow Fair that took place in Russia on Sept. 11-14, 2017, Rıza Seyyar, a member of the board of directors of the Turkish Exporters Assembly (TİM) and the Aegean Fresh Fruit and Vegetable Exporters Association chairman, said that Russians want Russia to lift the import ban on Turkish tomatoes more than Turkish exporters. Emphasizing that Russia wants to protect its own tomato producer but that officials dwelled on the formula, which will mean lifting the ban on tomato imports from Turkey during certain periods when there is no tomato production in Russia, Seyyar said, "Russia's own tomatoes are both more expensive and not at the point where they will meet their needs for 12 months. For that reason, the Russians are impatiently waiting for the import ban on Turkish tomatoes to be lifted." Marking that Turkey annually exported $260-270 million worth of tomatoes to Russia before the crisis, Seyyar said Turkish tomato producers found new markets after the crisis with Russia. He also said the lift of the ban on tomatoes would be a symbol that Turkey-Russia relations have returned to the good old days. FRUIT, vegetable export TARGET OF $1 BILLIONAfter the end of the political tensions, Russia has again become the leader country in Turkish exports of fresh fruits and vegetables, Seyyar said. "In January-August 2017, we exported $259 million worth of fresh fruits and vegetables to Russia. The biggest expectation of the sector is to reach the $877 million export figure recorder in the end of 2015 again, and even exceed the $1 billion barrage, after the lifting of the ban on tomatoes." Red meat was also discussed at the first term meeting of the Turkey-Russia Agriculture Executive Committee held in Antalya last week. Representatives of the red meat sector said that imports from Russia could be done and that its preparations have started. At the meeting held in Antalya on Sept. 13-14, under the chairmanship of the deputy agriculture ministers of the two countries, Russia's imports of tomatoes were mainly discussed. Following the meeting on the issues such as rural development, agricultural trade, as well as cooperation in technical research and commercial matters, a memorandum of understanding, in which the demands and requests of the two countries were put together, was prepared and signed. In the memorandum, which was signed by Deputy Minister of Food, Agriculture and Livestock Mehmet Daniş on behalf of Turkey and by Deputy Minister of Agriculture Evheniy Grominko on behalf of Russia, Turkey's import of red meat from Russia was included. Sector representatives told daily Dünya that Turkey already imports red meat, however, they emphasized that instead of importing it from Europe, Brazil or Argentina, Turkey could import it from Russia. They also indicated that the meat from Russia could be cheaper since the country is physically closer and less costly. Following the meeting in Antalya, Deputy Minister of Food, Agriculture and Livestock Mehmet Daniş said Russia has completed its technical preparations for Turkey's tomato exports to Russia. "The obstacle in front of the tomato exports is still the government bylaw of the Russian Federation and this decree has to be lifted. Our expectation is that in a very short period of time, especially in the next few months, the Russian government regarding this issue will change its bylaw and open up its market for tomato imports. Of course, there was some discussion in the sense of quarantine. We decided to resolve them quickly. Therefore, negotiations were beneficial and, in the technical sense, it was a meeting of the agriculture executive board, where the parties came closer together and the problems were left behind. Emphasizing that work continues to normalize the decision on tomatoes, Daniş said the other side also had their own demands in the sense of quarantine and that works regarding this technical issue would continue. DECREE TO BE ISSUED FOR LIFTING BANRussia's Deputy Minister of Agriculture Evgeniy Gromiko said they were working to reach the old trading volume between the two countries after the unfortunate incident of 2015. The Ministry of Agriculture, he said, will communicate its recommendation that there is no technical obstacle, including plant safety, to lifting the ban on tomato imports. The Russian council of ministers signed a decree after the 2015 jet-downing crisis in which it introduced the restrictions on the imports of agricultural produce from Turkey. "The restriction on this was brought by the council of ministers with the government decision. Therefore, it is necessary to make a decision in order to remove it. We, as the Ministry of Agriculture, have made the necessary infrastructure preparations and works in cooperation with Turkey's Food, Agriculture and Livestock Ministry. It is difficult to give a concrete date about the tomato export, but we are convinced that a reasonable decision will be made in a short period of time. I think that these problems could be solved in the near future," Gromiko said.